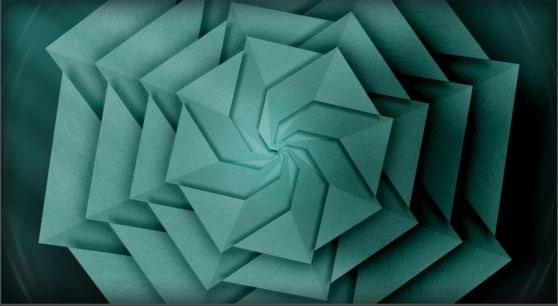 Octagon is sound designer Daniel Stawczyk’s third Sound Pack Series title for Chromaphone 2. This time around he proposes a 149-preset collection of carefully designed arpeggiated layered sounds. Sometimes pushing forward the richness of Chromaphone 2 to its full potential, at others opting for depth, finesse, and refined delicacy. On Octagon, Daniel takes full advantage of the arpeggiator's density and intricacy. Packed with an inspiring cornucopia of arpeggiated synths, pads, basses, chords, stabs, flows, percussions, chimes, and angular special effects, Octagon unlocks your creativity at every turn. Octagon was created with the Chromaphone 2 acoustic object synthesizer. 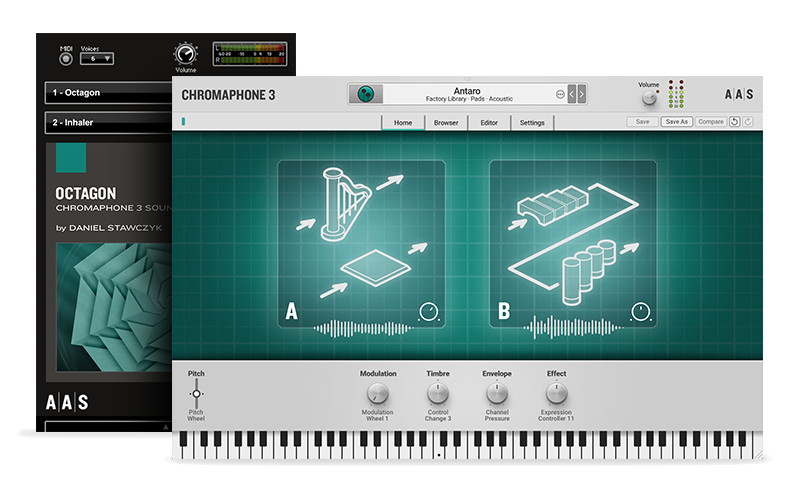 You can obviously play and edit the sounds in Chromaphone 2, but you can also access and play them via the free AAS Player included with your Octagon purchase.